Our annual fall Scholastic Book Fair will begin next week! Starting on Tuesday, October 17, the Book Fair will open in the library and students will browse/shop during their library class time as well as during lunch recess time from 11:20-12:30 daily. Parents/guardians are welcome to visit the fair with their children during that lunch recess time. On the evening of October 23 the fair will be open from 1:00-7:00 pm during Parent/Teacher Conferences and parents are invited to bring their children in to shop! 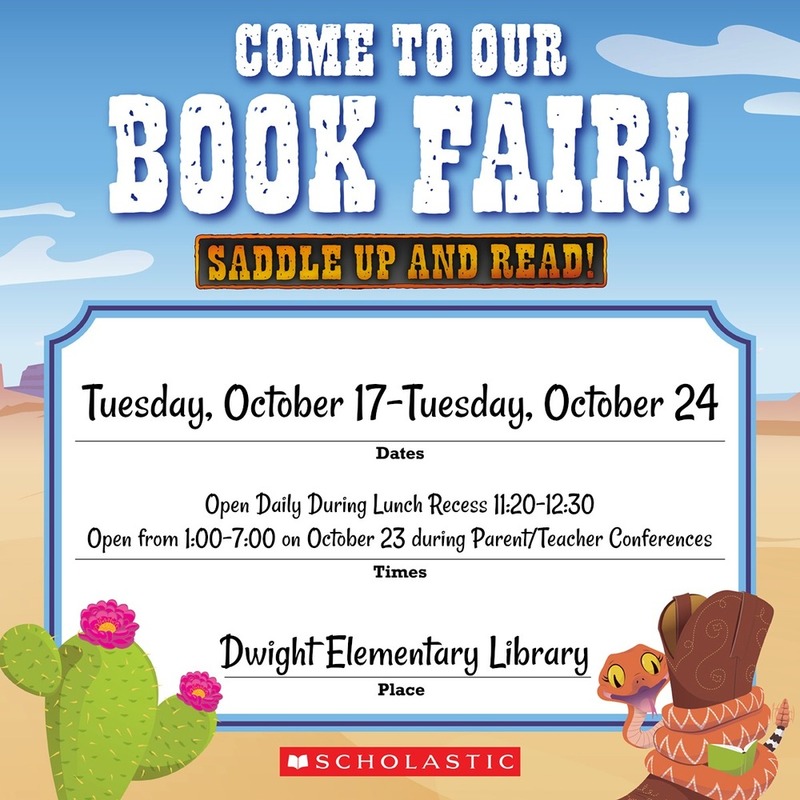 Proceeds from the Book Fair go to our Dwight Library and help to buy birthday books for students as well as books/materials for the library! You can also browse our Online Book Fair where you will find an even larger variety of titles/items. Purchases online include free shipping and the proceeds still benefit Dwight Elementary. *We accept cash, card, or check (payable to Dwight PTO) Don't forget that tax will be charged on all purchases. We can't wait to see you at the Book Fair!